THEY'VE got two long ears, they're cute and fluffy and they live in burrows. And no, they're not rabbits. Bilbies are an endangered Australian animal, and Save the Bilby Fund co-founder Frank Manthey believes Easter should support them, rather than their European competitors. Mr Manthey sees the holiday season as an opportunity to raise awareness about the endangered animal by giving chocolate bilbies rather then bunnies. He said the promotion of Easter bunnies frustrated him. 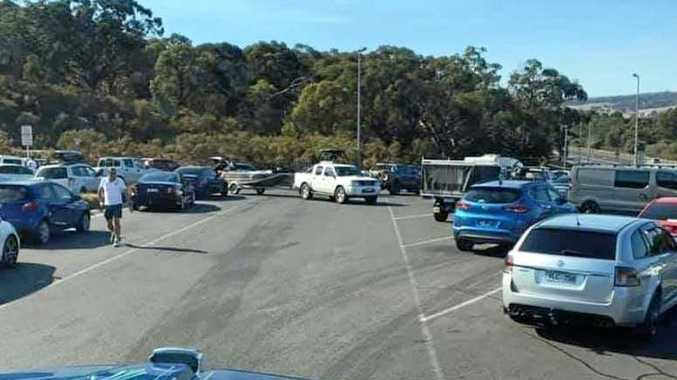 "It makes me feel sad; we should be supporting Australian animals, not introduced animals that have helped to endanger the bilby," Mr Manthey said. "I want little kids to recognise bilbies and talk about them for the next 100 years, and giving a bilby instead of a bunny is a good way of encouraging that." "Kids are learning about endangered animals in schools and Easter is a good time to reinforce that education." 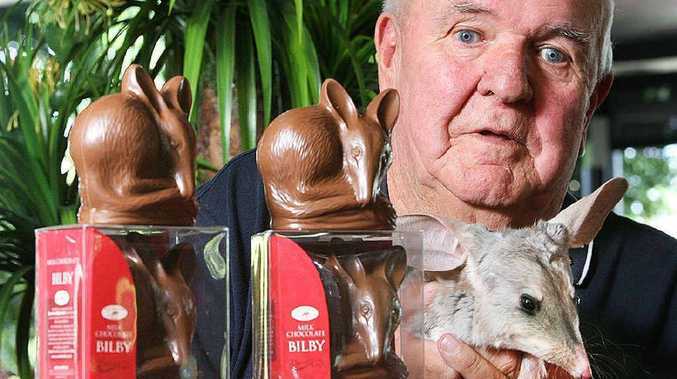 Save the Bilby Fund benefits from the sale of Darrell Lea chocolate bilbies. "The money's a great help and Darrell Lea has helped to raise hundreds of thousands of dollars, but it's also to do with just celebrating the bilby and raising awareness." Mr Manthey co-founded Save the Bilby Fund with zoologist Peter McRae in l999, and has since campaigned for funds to build a predator-proof fence and toured Australia to raise awareness about the bilby's plight. Chocolate bilbies are available at Ipswich Darrell Lea stockists. For more information, visit savethebilbyfund.com. Bilbies are listed as endangered in Queensland. Introduced predators like cats and foxes have decimated bilby numbers. The fully-fenced Currawinya National Park is a safe haven for bilbies.